A round foil balloon measuring approximately 18 inches. 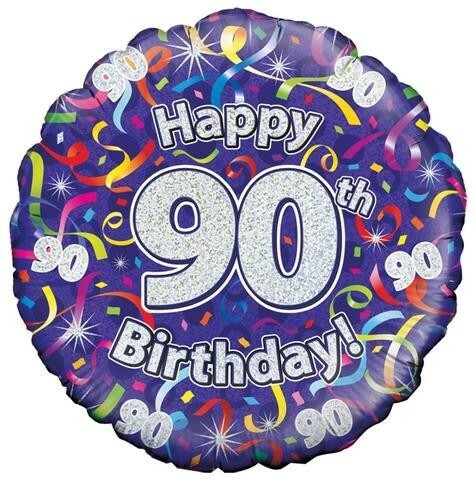 A purple balloon illustrated with coloured confetti and streamers and silver 90s all over and the wording Happy 90th Birthday in silver. Balloon is a holographic design. A helium fill balloon that can also be air filled and suspended.